with some of the most glorious music ever composed. Consumed by paranoia and suspicion, Otello’s earnest love for Desdemona takes a violent turn with catastrophic consequences. Where enchantment transforms the air we breathe. Where the real and unreal blend in infinite ways. Play your part in the COC Orchestra and help us share the transformative power of opera. Donate by Sunday, June 30 to have your gift matched by an anonymous donor! inspired by our upcoming season’s tales of wonder. Art is life for these young Bohemians in Paris. A great man will fall. The best way to experience opera. The COC Orchestra is the oldest opera orchestra in Canada and has received worldwide acclaim. The COC Chorus is made up of professional singers, some of whom have worked with the company for more than 20 years. The COC Academy includes training programs for young singers, coaches, instrumentalists and other opera professionals. 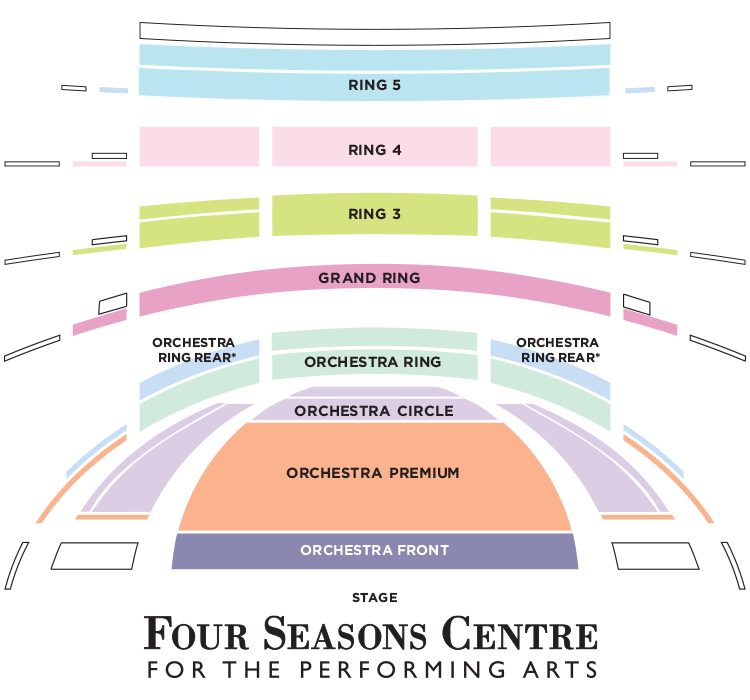 Inaugurated in 2006, the Four Seasons Centre for the Performing Arts is the first building of its kind in Canada; a theatre built specifically for opera and ballet performances with the finest level of acoustics. German-born Alexander Neef, appointed General Director of the Canadian Opera Company in June 2008, has worked with some of the most prestigious arts organizations in the world. Maestro Johannes Debus was appointed Music Director of the Canadian Opera Company in 2009, having already established himself in many of the great opera houses and festivals of Europe.